GOP New York state Senate candidate Jon Girodes is escorted away in handcuffs by New York City police Oct. 14, 2016. Jon Girodes, a Republican New York state Senate candidate who made headlines after apparently planning to offer Kool-Aid, KFC and watermelons at a campaign event in historically black Harlem, has been arrested in connection to an alleged rental scam, NBC 4 New York reports. Girodes, who is vying for the 30th Senatorial District seat in the November election, was booked at the New York City Police Department's 7th Precinct Friday afternoon, NBC 4 reports. He faces at least nine counts of grand larceny. According to NBC 4 New York, as Girodes walked out of the police station later Friday night, he said, "I love the NYPD and there are two sides to every story." Girodes is accused of listing his luxury Hell's Kitchen neighborhood apartment online and collecting about a year's rent in cash up front in deposits, only to later back out while still keeping the cash, the New York Daily News reports. He is accused of stealing some $50,000 from 10 people. "The scam is simple: He posts on Craigslist under his name or assumed name saying he's posting an apartment that's affordable because that's his initiative as a public officer," attorney Pierre Gooding, who is representing the 10 alleged victims, told NBC 4 New York. "The person comes over, he shows them the amenities, wines them and dines them and then takes their money. And then he comes up with various reasons why he won't return that money. "It's the same apartment every single time, the same sort of lease structure," Gooding added. "It's very obvious that there's no intent to ever rent out this apartment." 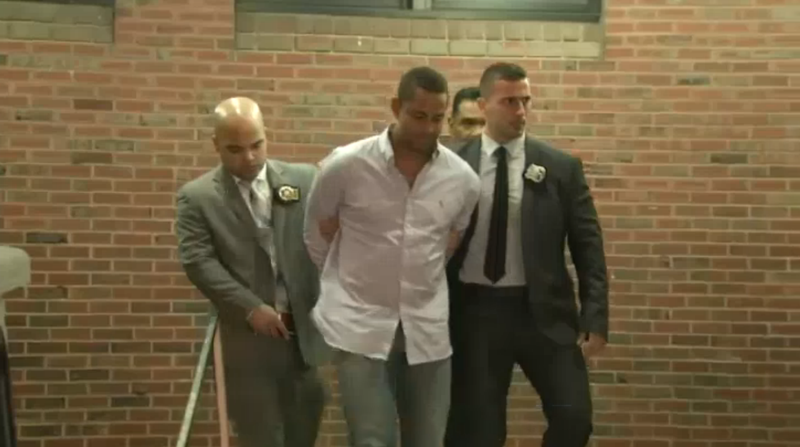 According to NBC 4 New York, Girodes denies the claims and even calls himself a victim. Read more at NBC 4 New York and the New York Daily News.